Here at The Mapping Network, we understand the challenges and costs associated with locating and removing sediment. We specialize in accurately mapping bodies of water, calculating the water volume, collecting sediment depth samples at critical areas and monitoring the distribution of sediment over time. 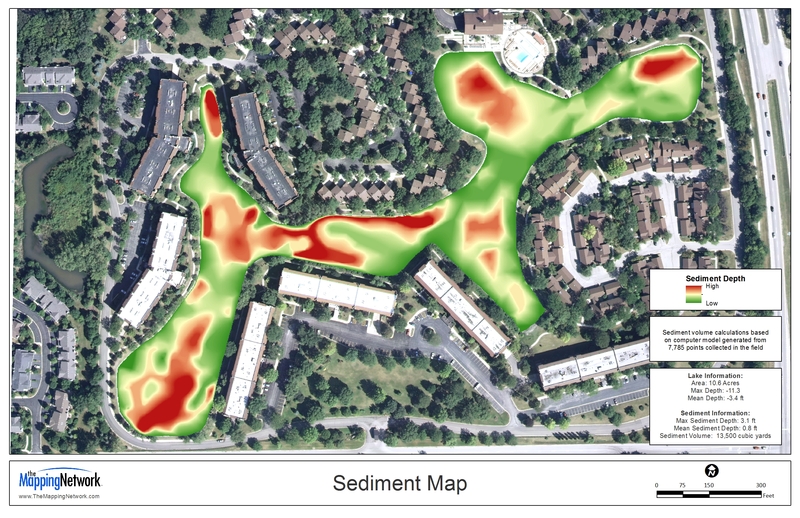 How much fluffy sediment (in cubic yards) is in each cove? The time to act is now. Don’t waste another year trying to manage your resource without this information. A color-shaded sediment map created by The Mapping Network. Our automated sediment mapping system can precisely locate problems areas needing to be dredged. Knowing exactly where to remove sediment not only saves the client money, but protects the environment by only disturbing a small area. Map showing sediment depth. Individual depth points and color-shaded depth is shown. 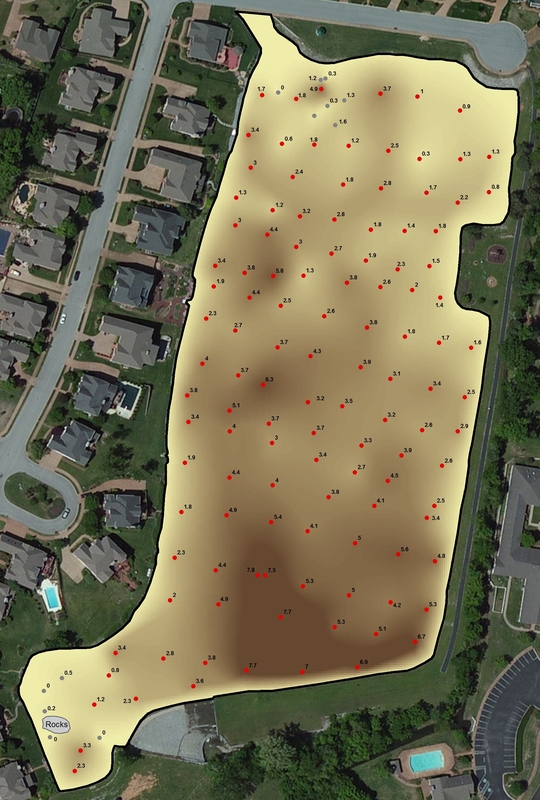 A great tool for understanding areas needing sediment removal. This entry was posted in Lake Map, Sediment and tagged aerial lake map, Aerial Map, Bathymetric Map, Bathymetry, dredge process, Dredging, Fishing, GPS, GPS Lake, GPS Map, Habitat, hydrographic survey, lake dredge, Lake Management, Lake Map, Lake Mapping, Lake Survey, Sediment, sediment survey, Sedimentation, Survey, texas fishing, Texas Lake Map, Texas Map, The Mapping Network, Waterfowl, when to dredge a lake on March 13, 2013 by Moderator.